There's no question regarding whose on top in the local League of Legends scene at the moment; EvH. Gamers.com.mt decided to get a closer look at their 2017 and how it all went down leading to their supermacy. Upon reaching out to them on social media, they radiated enthusiasm and were especially ecstatic to be interviewed; making the whole process a joy and we applaud them on this attitude. Responding the questions are the terrific duo of Owen "Deity" Magri and Marlon "Blaze" Polidano, the two central players at the heart of EvH's success in LoL. Without further delay, we hope you enjoy the interview below! We’ll start chronologically, it’s only right. The team was signed early this year in April; what was your reaction to being signed by EvH? What where your expectations for the year ahead? How did you plan to achieve these goals? We were really excited to be working with EvH who were, at that time, the local champions in Overwatch. As for the expectations, we wanted EvH to have an impact in the League of Legends scene as well as working aside with Mike “z4mbu” Saliba on the growth of EvH, who also helped us in gaining the exposure and support every local esports team should have. We would like to express our sincere thanks and appreciation of what he has done so far for us. We were very motivated in accomplishing this and we kept working hard for future events. After just two weeks of representing EvH, the team was hit with a roster change. With the players knowing each other for so long and succeeding together this came as a surprise. What effect did the change have on the team? Describe how long it took for everything to settle into place? What’s it like to constantly be aware that one day you could be dropped or signed by a different team? The roster change was a long thing coming. One of our members had plans into pursuing a scholarship abroad and this would definitely interfere with our team practice. As a team even before EvH we would always do our best to be on top by a large margin and after the first local event, we decided as a team that one of our members was not taking the game as seriously as the rest of us, which resulted in the roster change. It took us a while until we were strong as the previous roster, which was even stressful sometimes for the remaining members of the team. After the team started bonding together, it became a very positive atmosphere as the team was stronger than ever before! Fragility is always in the back of our minds which strives us to constantly work hard to always be better than everyone. We all know what happened after that for the rest of 2017; slaughter. First place finishes at all the top events include our very own MESF 2017 and MCS #3. Could you describe why EvH LoL is the best team in the scene? What does EvH have that the other teams don’t? As of right now, who is the biggest threat to your winning streak as we enter 2018? The real reason of why we've always been on top is because of how seriously we take team practice and how productive each session ends up. We really try to maximize the effectiveness of every training session and try to get the most out of it. When it comes to threats for 2018 there's no one that comes to mind. After every event, no team remains with the same five players which makes it difficult to give an answer for this question. We always tackle every team one by one and focus on ourselves. Being a team is more than just competing together on the mainstage. Describe the dynamic between the players on and off the game. Who rises to leadership in-game? How does the team prepare itself for competition? When it comes to the strongest teams, just being teammates in the game is not good enough. We're all very good friends outside the game and get along together well. This helps us to talk more comfortably with each other about the game and helps us in improving mistakes we need to fix. When it comes to leadership, we (Owen and Marlon) guide the team as we are the most experienced in doing so. Preparation is serious and important. We schedule practice with international teams, schedule certain days as individual improvement and participate in online tournaments. So, it’s quite clear that you’ve got the local scene covered, but what about competing on an international level? Do you have any plans for international competition in 2018? Do you think you have what it takes? The international level is something which we are definitely looking forward coming 2018. This is something we dream of and we definitely want to showcase our talent elsewhere other than the Maltese scene. As for what it takes time will tell. We do our best to practice as often as we can, hoping that an opportunity may arise to compete internationally. For those anxious LoL teams starting out now, or solo players looking for a team, what advice do you have for those starting out in the scene? What did you, as individuals, have to sacrifice to take it to the next level? What mentality is required to succeed? Best advice would be to never give up. We've all started from the same point, it's just a matter of how hard you work for it and how hard you want to earn it. We've all invested an immense number of hours practicing, improving and reviewing our games for us to end up where we are. Mentality is a major factor in League of legends so it's very important to focus on improving it. Last but not least is to enjoy the game. Have fun doing what you love, it makes everything easier. In the final question, we’ll be looking from a broader perspective, as in EvH on the whole. 2017 saw expansions into Overwatch and LoL while obtaining a strong sponsorship from Go&Fun and having the opportunity to re-brand shirts and logo. It’s been a fantastic year. What does the future of EvH hold? Any specific plans for 2018? 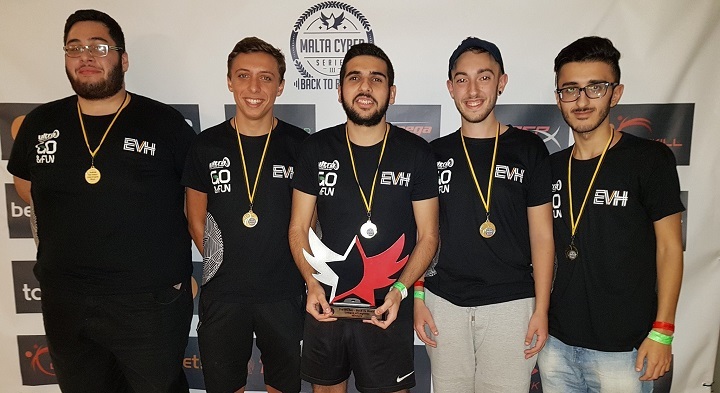 EvH as an organization mostly will continue to search for entities who are willing to support our league of legends roster in any way possible, for us to have the opportunity of proving our talent elsewhere other than the Maltese scene. We would like to be the first Maltese team to have an impact on one of the biggest and most competitive games of all time. In regards to plans for 2018 it is too early to tell but there are already plans for the team to travel and compete internationally. We can’t thank you enough for participating in this interview, Gamers.com.mt is glad to have had this opportunity. 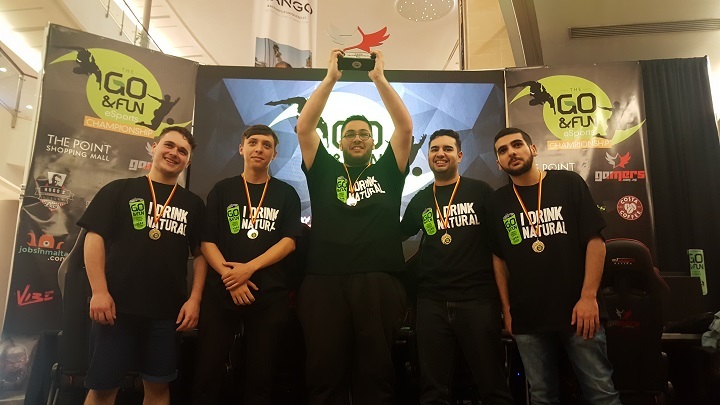 Local esports organisations are the only way forward for the Maltese gaming industry, plucking Malta’s talented individuals from any restrictions and giving them the chance to prove themselves behind a screen. We wish you the utmost of luck for your future as an esports organization, especially the LoL sector which looks extremely promising! 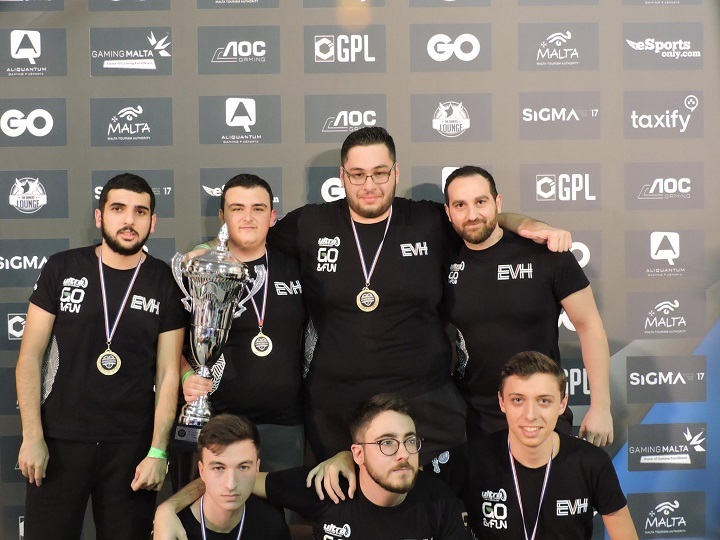 This interview with EvH is only the beginning; personally as a writer, I'm looking to delve even deeper into the Maltese esports industry. Thus, you can expect more interviews, discussions and other insights as time progresses. As of right now, two other interviews are being coordinated and we highly recommend that you keep updated either with our newsletter or through Facebook.